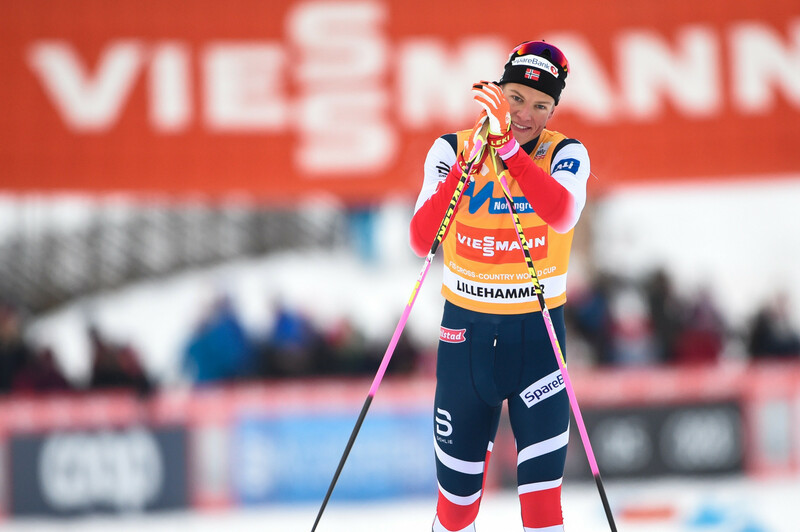 Norway’s Johannes Høsflot Klæbo and Ingvild Flugstad Østberg sealed the overall International Ski Federation Cross-Country World Cup titles today with first and third place finishes respectively in the final races of the season in Québec City. A third-place finish for Ingvild Flugstad Østberg and a victory for Johannes Høsflot Klæbo in today’s mass start races in Quebec put them both on the brink of winning the overall Cross Country World Cup titles with one race to go. Norway’s Johannes Høsflot Klæbo has put himself in pole position to win the overall International Ski Federation Cross Country World Cup title thanks to a sprint victory in Quebec. Home skiers Maiken Caspersen Falla and Johannes Høsflot Klaebo were triumphant in the women's and men's sprint races as the International Ski Federation Cross Country World Cup season reached the Norwegian resort of Drammen today. Norway’s Johannes Høsflot Klæbo will be looking to keep up his 100 per cent record in the classic sprint event this season as the International Ski Federation (FIS) Cross-Country World Cup gets back underway in Planica. 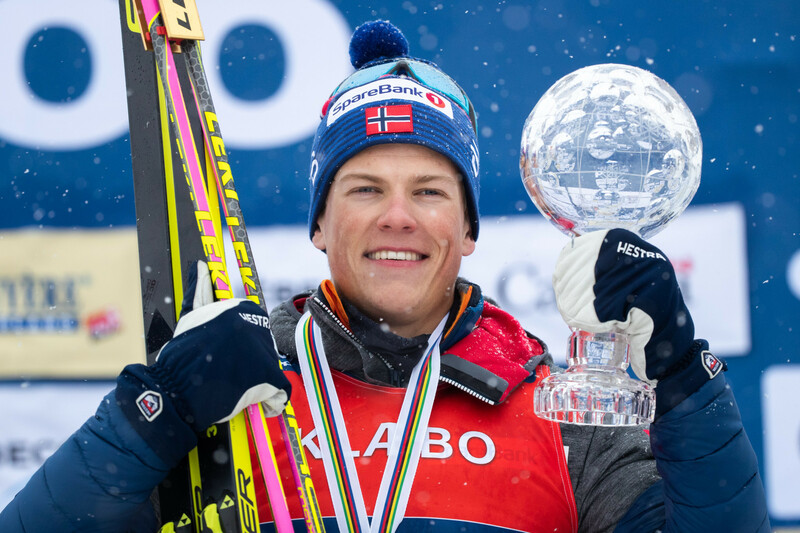 Norway's Johannes Høsflot Klæbo won his seventh International Ski Federation (FIS) Cross-Country World Cup title of the season, the most-ever by a male skier before the New Year in a single campaign, at the Nordic Arena in Toblach. 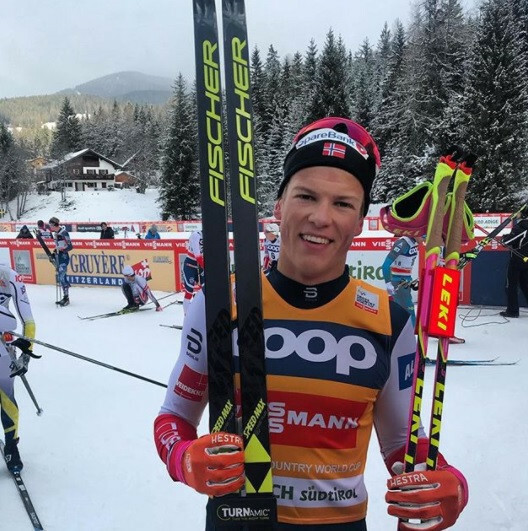 Johannes Høsflot Klæbo maintained his 100 per cent start to the International Ski Federation Cross-Country World Cup season as he led home a Norwegian clean sweep in the men's 30 kilometres skiathlon in Lillehammer today. Norway's Johannes Høsflot Klæbo continued his dominant start to the International Ski Federation Cross-Country World Cup season as he recorded his fourth straight win in Lillehammer.